Following the completion of Huginn, as always my projects come in pairs to keep myself busy (like the Sith: ‘No more. No less’), so along with the Green Man I intend to base a guitar on a Nordic theme again: Ragnarok – the death of the Gods. In Norse mythology, Raganarok (‘Fate of the Gods’) will be the final battle that occurs on the Vigrid Plain following three years of Winter. 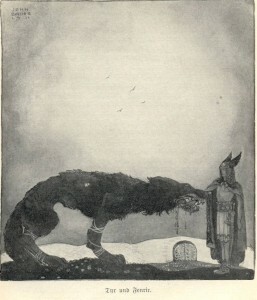 Ragnarok is prophesised and Odin will try in vain to avert it’s coming, but ultimately he will be devoured by the great wolf Fenrir. All the fallen warriors in Valhalla will rise once more and fight in the battle to end all battles. My first 7 string build to date; at this moment in time I plan to do a little research into some on-board effects for the guitar also like high gain or tonal boosts to increase the array of possibilities native to the instrument. Coil splitting will be included with the single humbucker configuration and a fixed bridge setup. The inevitability of this prophesised ‘end of days’ conjures images of a brewing storm on the horizon. 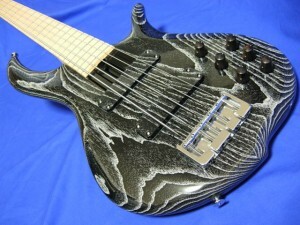 I am using this influence for choosing the finish of the guitar. In this case I am thinking of a Blood red/Deep Purple sun-burst fading into black towards the outside edges of the body. As Ragnarok is prophesised to follow three years of winter, and include the world devouring Frost Giants as major contributors in the battle, I think it would be good acknowledge the cold in some way. I am thinking a white grain filler to emphasise the wood grain as an ice white highlight running through the design. 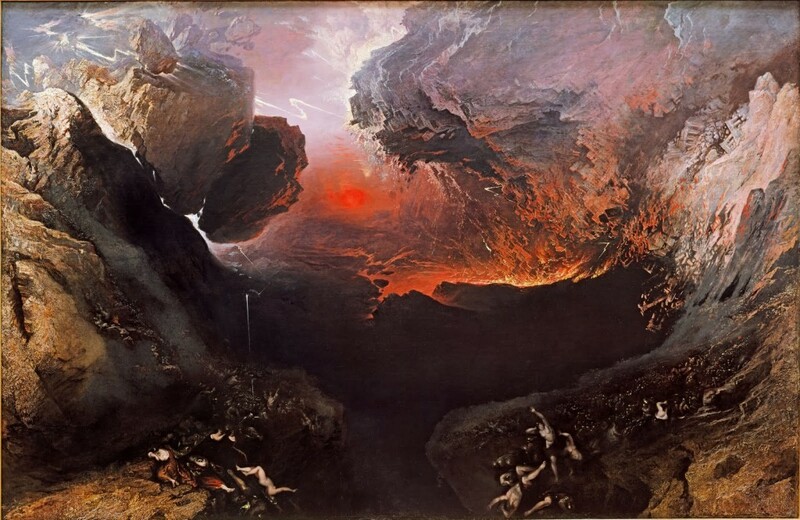 Like fissures in the doom. With regard to inlays; I have seen some brilliant examples of Nordic design in the British Museum a few months ago which will be a very good starter for inspiration. The fretboard will be very wide, so there will be plenty of space for a decent design reaching up to the headstock. For the headstock I think a ‘Valknut’ symbol would be apt. 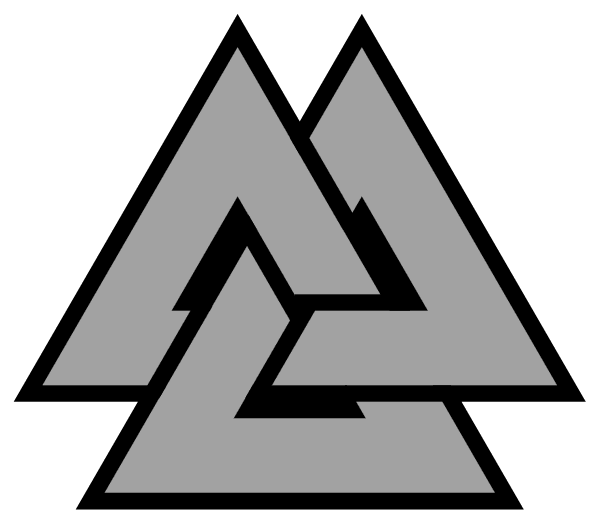 A Valknut is an interlocked motif of three triangles and represents slain warriors. 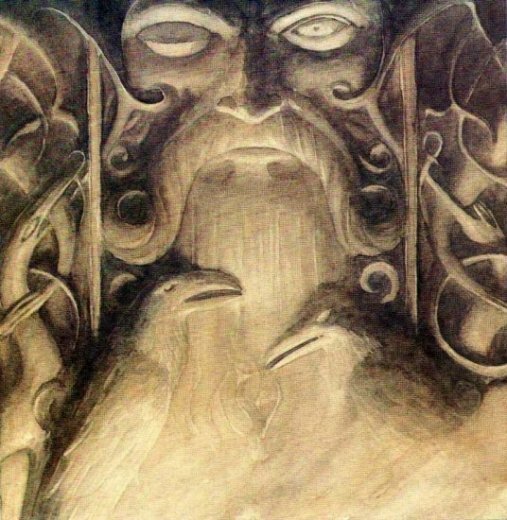 They have been found on many Norse stone carvings with funery motifs, and represent a slain warrior or mark the wearer as willing to be sacrificed by Odin himself. As this is a 7-stringer, I will need to give a little thought to the headstock design as I intend to use a balanced split of machine heads. So in other words not all in a row like Fender and some Ibanez, but split either side like Gibson and Gretch. This means it will have an asymmetry of 4×3 machine heads. So I plan to research some Nordic spearhead designs in tribute of Gungnir, Odin’s weapon. A broken spear-tip would allow the off-set design I require, much like the ESP headstocks in the Ltd range. This guitar needs to be awesome in every aspect. It must look and sound capable of committing deicide.